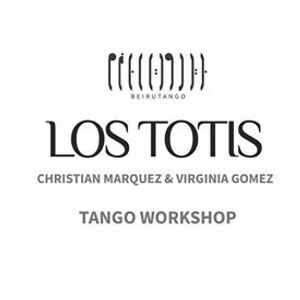 In collaboration with Maestra Georgia Zikou, we are proud to present Los Totis in Beirut! 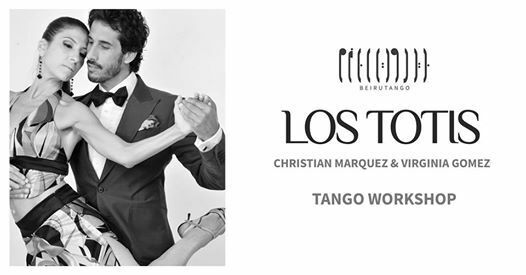 Christian Marquez & Virginia Gomez, known as “Los Totis”, are an internationally acclaimed Argentinian couple known for their distinct style in performing and teaching Argentine Tango. United since 1996 by their passion for tango, they are an authentic reflection of the past as their dance is characterized by the preservation of the purest and most essential tango. Los Totis have participated in major national and international shows directed by acclaimed dancers and choreographers such as "Los tangos de la Cábala", "Piazzolla Tango", "Copes Tango Copes", and "O'Tango". In Buenos Aires, they have participated in several prestigious Tango Festivals such as CITA, Tango Salón Extremo, Argentina Tango Salón, and Mujercitas among others. 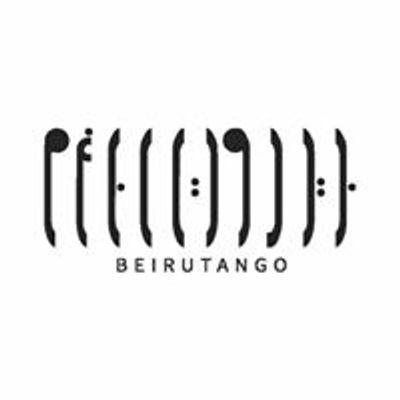 They have been invited by the Government of Buenos Aires to serve as jurors of the Metropolitan Tango Championship and World Tango Championship. Since 2002, they started touring Europe and Asia for festivals and workshops. They strive for transmitting their well rooted knowledge to new generations of tango dancers. If you register before February 28, you will benefit from an early bird discount. If you register as a couple you will also benefit from discount. For further information, you can contact us at: +961(70)018281 or by email at YmVpcnV0YW5nbyB8IGdtYWlsICEgY29t. Hope to see you all in April!